The World Bank's predictions for 2012 on price movement of commodities may not all hold true in the domestic market. 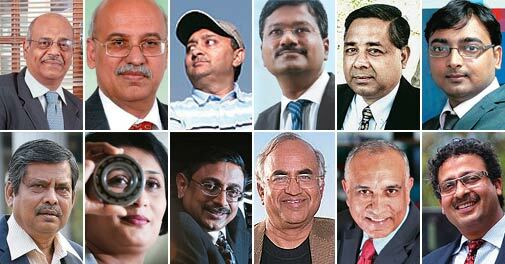 The search for India's Best CFO winners across 10 categories was extremely rigorous and meticulous and we assembled a stellar jury in analysing financials across three years. Edward Glaeser's book on cities has great relevance for India. Max New York Life Insurance's MD and CEO Rajesh Sud shares his leadership style. Just when it seems to be in decline, cricket manages to bounce back. One victory changes everything and all the bad memories are wiped clean. Will India's power woes end? Your cover story, Fuzzy (Business Today, April 15) on cheap drugs is an eye opener. But given the clout of MNCs in developing markets, Nexavar by itself is a baby step towards providing cheaper life saving drugs. Is India ready for a tablet revolution in education? The tablet has become all the rage in education. By packing a student's entire curriculum within its hardware, or allowing her to access it from the cloud - remote servers - it threatens to make the schoolbag obsolete. Assessment tools provide a useful filter even if their use requires companies to cast their nets much wider than before. The IPL season has kicked off, but advertisers are yet to get excited. Advertisement rates are 15 per cent below last year. Delhi's IGI airport set to be world's costliest? Wake early, work out daily, and eat a healthy breakfast to stay fit.